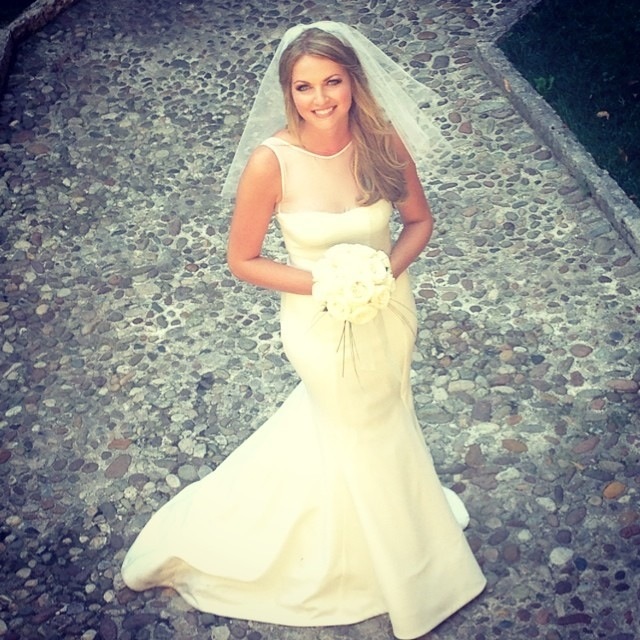 KD Bespoke Bride Leigh’s Lake Garda Wedding. Leigh came to KD as a bride without a gown, she had tried on every style and silhouette and hadn’t found THE dress. Leigh was a KD ready-to-wear customer and once she heard we started doing bridal she knew she had to have an appointment. Leigh knew the shape of the gown and had even drawn a picture of her dream dress to help the team see exactly what she wanted. We tell all brides to have some inspiration pictures or tear sheets to help us realise the dress they dream of. Every bride has their first wedding toile made from their exact measurements, this is usually a cotton mock-up of the gown they want. At Leigh’s fitting we knew that she had chosen the perfect silhouette, fitted through the bodice and hip into a fluted mermaid style. I love getting to know each bride and going on their wedding journey with them, wedding gowns take 8-12 fittings at least and whether you have 8 weeks or 8 months the amount of fittings remain the same but the time in between may be closer. Leigh was such a calm bride and knew exactly what she wanted in her gown. There was to be no lace, embellishments or trims. This gown has a contemporary feel to it as the dress is all about a perfect fit and a soft structure. When having a bespoke gown made everything has to fit like a glove, so Leigh came back with her dress one week before her flight to make sure the desired look was just so. She collected her short veil and organza bow and she was ready for the off! 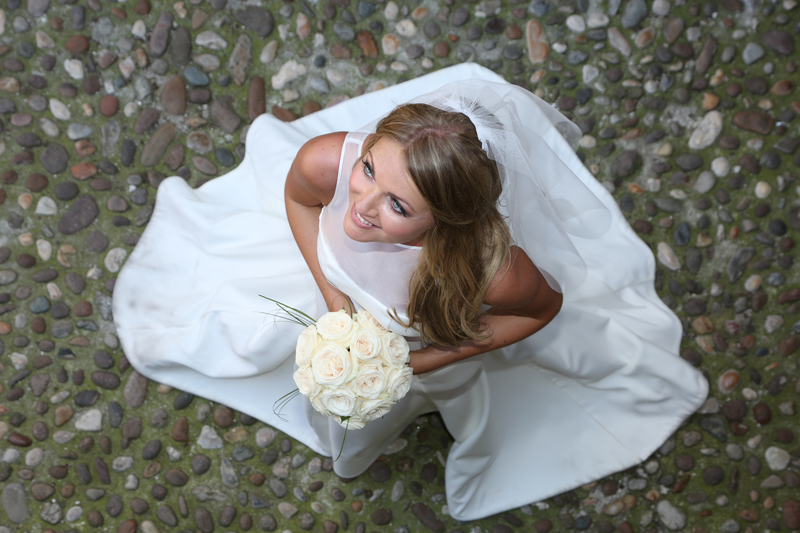 To say we wait with baited breath for the return of our brides who marry abroad would be an understatement. As we haven’t been lucky enough to dress them on their day we can’t wait to see the snapshots from their dream day. Leigh’s album surpassed all of our dreams with the dramatic backdrop and classic tailoring in the groom’s outfit the album look straight out of a magazine. I spy a KD bespoke bride! 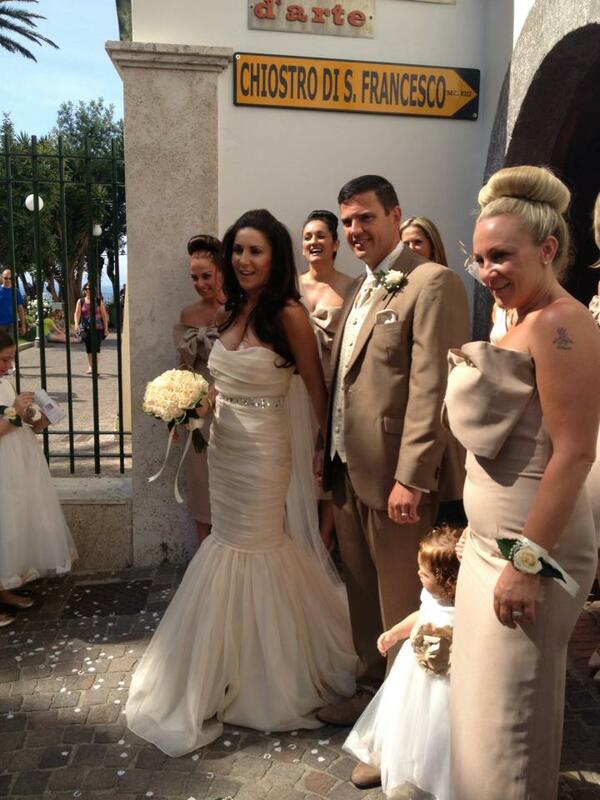 Here is a snapshot from our KD Bespoke Bride, Leigh’s wedding day in Italy. Don’t you just love it when the bride emails you a picture on the day of the wedding? We almost feel like we were there with her. Leigh’s bespoke story along with more of her pictures will be online in the next week, so pop back to the blog to read about her dream day. 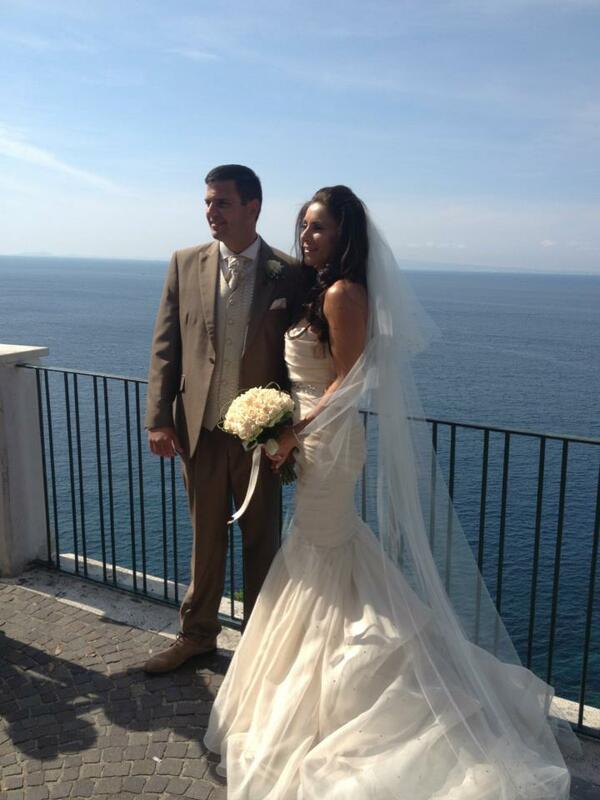 Here is another of our stunning brides who got married in Sorrento, Italy last week. 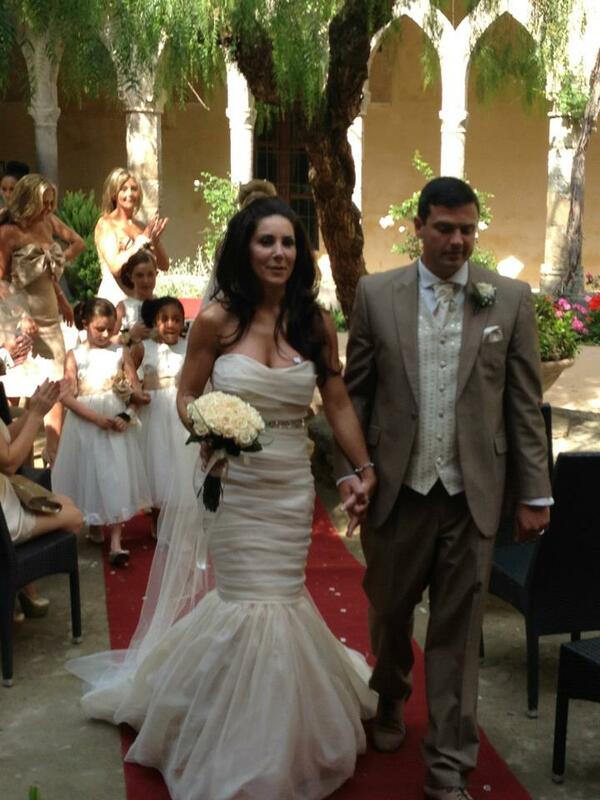 Hayley looked stunning in a Kirsty Doyle Bespoke Wedding gown, Swarovski crystal belt and full length veil. Have your dream wedding dress made! Like our Facebook page too! NEW LOOK KD – shop the lookbook. Hurry – the FLASH FRIDAY sale is still going.